Reading is undeniably one of the most prominent and accepted “good parenting” practices in the United States. In a country that loves to debate the quality of everything, literacy has really never been questioned. Pregnancy books tell you to start reading to your child before the baby is born and you are expected to read to your child forever and always! The US Department of Education Reading is Fundamental has a nice article about Reading with your Child that talks about when to start and how to make reading a part of your child’s life. What makes a kids book a good book? Age Appropriate. This can be hard to determine, but a good place to start is to look at the age recommendations that often appear on children’s books or on Amazon.com. Also, consider the number of words per page and the type of vocabulary used in the book. Too many words will test the attention span and interest of a young child and books filled with words that are too challenging for the child (or the parent for that matter) will disrupt the flow of the story and will potential hinder comprehension. The nice thing about technology is that you can now “look inside” books online before purchasing them online. This will give you a better idea of the words per page and the vocabulary in each book. Also ask your librarian about what books might be appropriate for your child given their age and developmental abilities. Parenting Magazine offers books for Building Baby’s First Library. Comprehensible Storyline. If the book you choose doesn’t seem to make any sense to you, it’s likely not going to make sense to your child. Part of the reasons reading to your child is so important is it helps build language and literacy skills. One important literacy skill is reading comprehension so begin to build on this skill early by selecting books that your child can understand and by asking questions about the book to ensure the child is “getting it”. Interesting topics. Kids like what they like. Some kids love cars, trucks, boats, and planes others love princesses, worms, dinosaurs, or stories about food. Find books that are about things that interest your child but don’t be afraid to try new ideas or story lines. If your kid is obsessed with cars make connections between cars and other things like animals. For example, get a book about animals and show your child that elephants move slowly like big trucks and instead of saying “beep beep” lions say “roar”. Where to find good books? Go to the Library! Librarians offer all sorts of knowledge about new good kids books and the kids rooms at libraries around the country are really fantastic. Also libraries and bookstores often offer story times when children can all sit together and have a story read to them. This is a great opportunity to find new books and to make new friends. How much should you read reading? There really isn’t one set answer to this question, although the Children’s Reading Foundation suggests 20 minutes a day. Really the best answer is to try to make a routine out of reading and make sure you do it daily. Many families like to read books as a downtime activity before a child goes to bed. But kids often love books and reading can be sprinkled in throughout the day with other activities. Keep books in your playroom and your children’s room at a level where your child can reach them so they can take them out as they please. In between coloring and building a tower suggest reading a book or even bring a few books with you to the park and read when your kids need to cool down or are eating a snack. What are some benefits of reading? Positive impact on children’s language and cognitive skills (See SRCD report). Fletcher,K. L. & Reese, E. (2004). Picture book reading with young children: A conceptual framework. Developmental Review, 25, 64-103. Reading Rockets Reading Tips for Parents. This resource provides Tips for Parents of babies, toddlers, preschoolers, kindergarteners, and 1st- 3rd graders. Reach Out and Read Reading Tips. This resource offers very basic reading tips for parents. Scholastic offers advice on picking age-appropriate books for slightly older children here. Huffington Post Article on Reading IS Fundamental by Christal Watts Deb 29, 2010. It’s embarrassing that this is a website has the words PLAY and LEARN and is a website for parents about child development and I have not yet written about Jean Piaget. My apologies. 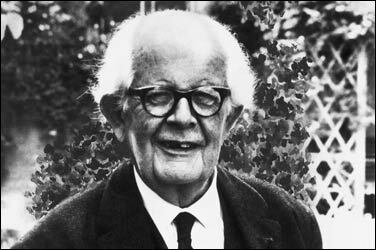 Piaget studied how children’s minds work and develop and he is most known for his stages of cognitive development. Below I have described very basic points of Piaget’s Theory of Cognitive Development (how children learn). Note that research has found that in some instances, young children can master concepts in higher stages than Piaget originally thought, but his stages still provide a good example of how children’s cognitive capabilities differ in general. Here is a website that also provides examples of how each of these concepts can be tested with children. Achieves Object Permanence: this just means that during this stage the child begins to understand that things exist even if they are not within the child’s sight, touch, etc. ( 8-9 mos). Will begin using objects as symbols, for example a child will use a step stool and pretend it’s a car. Egocentric thought. Child is unable to understand that other people see the world differently from him. For example, child will cover his eyes and think that you cannot see him. Hi parents! Did you know Wii can get your family moving and in shape? Believe it or not, I research how video games can promote weight loss and activity in kids – we call them “exergames” because you have to EXERCISE to play the video game! Think Kinect, Move, Wii, Dance Dance Revolution. It surprises people that exergames are considered “physical activity.” After all, we’re facing a huge obesity problem in this country – one of five preschoolers is overweight or obese, and that number is even higher for Hispanic and Black preschoolers. Two-thirds of adults and one-third of children/adolescents are overweight or obese, putting them at risk for bad heart health, type 2 diabetes, asthma, and even certain cancers. Video games are usually blamed for obesity and sedentary lifestyles, so how can they possibly be a “good” and “healthy” choice? By requiring movement, exergames get players to burn calories and increase heart rate to levels of moderate intensity activity (Biddiss 2010; Graves 2008), which goes towards the 1 hour/day physical activity recommendation for kids age 6 and up (Siegel 2010). And for the wee ones, these games can contribute to the regular active play that is recommended for kids under 6. This physical activity can translate to weight loss for overweight/obese kids and weight maintenance for healthy weight kids – in fact, my dissertation showed that overweight/obese high school students lost about 5 pounds when they played the Wii Active game in a lunch-time and after-school program during the school year. The best exergames for physical activity are those that use both the arms and the legs – that’s what will burn the most calories and get your kids moving the most (Graves 2008). And the best part is that the FUN of the game can distract your child from the “exercise” part! Even better news — when given a choice, kids choose physically active games over the sedentary versions (Sit 2010). And the benefits don’t stop at physical health – exergames are an “equalizer” that allows family members at different ages and abilities to play a game together (Bryant 2010). Cooperation and group bonding can promote self-esteem, which motivates kids to become more physically active (Suhonen 2008). There’s even evidence that exergames can have cognitive benefits, like increased attention, visual-spatial skills, cognitive flexibility, and motor speed (Staiano, in press). For instance, playing an exergame can help preschoolers learn how to multi-task and begin to understand other people’s perspectives (Bryant 2010). The fact is kids play video games – kids under the age of 5 already spend on average 1 hour each day playing console or hand-held video games (Vandewater 2007), and kids use media more and more as they get older (Rideout 2010). Video games are fun, challenging, and can help develop important skills like how to follow rules, how to track objects on a screen, and how to quickly respond to visual and auditory stimuli (Staiano 2011, in press). Adding physical activity to the game creates an even better package! So consider adding some exergaming to your family’s schedule. Look for games designed just for preschoolers – like the Zippity Learning System designed by LeapFrog and Disney – or find games available on common platforms like Microsoft Kinect, Nintendo Wii, and Sony Move that your preschooler will enjoy. Make sure the games you pick are developmentally appropriate. And, just like with any physical activity, supervise your wee ones to make sure they use the equipment properly and don’t hurt themselves or others. If the exergame uses a sensor bar, place it low enough (like under the TV) to read the preschoolers’ movements. This is especially important if the preschooler plays with taller siblings or parents. If the exergame uses a handheld remote, make sure your preschooler’s hands and fingers are large enough to reach the buttons (such as pressing “A” and “B” buttons on the WiiMote). If your child doesn’t yet have the coordination to work the remote, use this as a teaching opportunity to develop motor skills! Remember that the complex, multi-step procedures that come easy to an adult is not so easy for a preschooler (think of all the steps involved in Wii bowling). So be patient in teaching your child how to create the motions needed for game play. And you may want to try out Kinect which doesn’t require a remote at all, or stick with some simpler games like Wii Tennis, Baseball, and Boxing that don’t require as many button presses or simultaneous actions. Why exercise? Physical activity helps you maintain a healthy weight and prevent excess weight gain. This protects you (and your child) from developing type 2 diabetes, coronary heart disease, cancers, high blood pressure, stroke, liver disease, sleep apnea, asthma, reproductive health complications, and many other serious health consequences (CDC 2010). Why limit screen time? Screen time, especially watching tv, is linked to overweight risk in preschoolers (Dennison 2002, Spear 2007). This doesn’t mean that if little Johnny or Suzie watches TV or plays video games they will automatically be overweight. But… if your child is sitting on the couch for hours on end instead of being physically active… and if your child has unlimited access to potato chips and candy bars or other unhealthy foods while watching screen media… then you’ve created an “obesogenic,” or obesity-promoting, environment that will make it harder and harder for your child to have a healthy weight. So… how much screen time should kids get? It’s recommended kids and adolescents spend no more than 1-2 hours each day watching tv, playing video games, or using the computer. Does it matter if the parent is active or overweight/obese? Yes! You are your child’s number one role model. If you’re not physically active, you’re missing a great opportunity to demonstrate to your child the importance of having an active lifestyle. Also, statistics show that if a kid has an overweight or obese parent, they are 80% likely to be overweight or obese themselves. Adults should get 150 minutes of moderate-intensity aerobic activity each week. That’s just 2 ½ hours spread out over 7 days – totally achievable! How much exercise should kids get? Also — children should do muscle-strengthening activities (like climbing) at least 3 days a week and bone-strengthening activities (like jumping) at least 3 days a week. It doesn’t have to happen all at once – physical activity can be broken down into shorter blocks of time, as long as kids get enough exercise to make them sweat. The activity should be FUN, developmentally appropriate, and offer variety – not just the same activities over and over again. Where can I get more info on how to play exergames with my kids? Wii Mommies is an online discussion forum started by Jenn Hethcoat, mommy blogger who shares her weekly healthy family recipes on her own site Super Jenn. Wii Mommies gets moms throughout the country to share their stories of how to use Wii games and other exergames to get their family up and moving. What can I do in my community to promote physical activity? Be a voice for physical activity in your child’s PTA, and talk to your child’s teachers, childcare providers, and P.E. coaches about how to make sure the P.E. and recess offered at school includes active play. Chart your child’s weight and body mass index with his/her pediatrician. Some schools also provide regular monitoring of your child’s weight. Support children’s programs that promote healthy nutrition and physical activity throughout the year, including during the summer. Help! My preschooler is overweight! What do I do? The best advice is to talk to your child’s pediatrician to see if your child is overweight and the best steps to take. There is also plenty of valuable info and resources online (click here for one example). 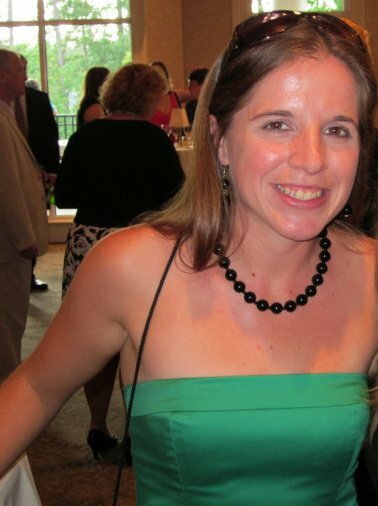 Dr. Amanda E. Staiano is a postdoctoral research fellow in the Physical Activity and Obesity Epidemiology Lab at Pennington Biomedical Research Center in Baton Rouge, Louisiana. She had the pleasure of working with Dr. Alexis Lauricella in the Children’s Digital Media Center at Georgetown University, where Amanda earned her Ph.D. of psychology and master of public policy. Amanda researches how exergames affect children and adolescents’ physical, socio-emotional, and cognitive health. More recently, she studies how physical activity reduces the risk for premature mortality in adults, and how waist circumference can be an important indicator of health risks in children and adolescents. She received her B.S. in psychology at Louisiana State University. Today I was reading the New Yorker on the way to work and there was a great article about Working Moms written by Tina Fey. Usually my blog posts are inspired by Parents Magazine, articles in the New York Times, scientific studies published in the Journal of Child Development, or some friends’ stories or questions about their kids… but it looks like now The New Yorker will be added to my “what sparks my blogs” list. And despite the fact that I do closely follow People Magazine’s Moms & Babies and understand that celebrities are parents, I never thought to focus a blog post on celebrity motherhood… until this New Yorker article. Here Tina Fey addresses the challenges of being a working mom perfectly and in a way that I feel that many mom’s can relate to- even if they are only celebrities in their own homes and neighborhoods. I truly recommend that you read the entire article (warning: you do need a subscription to read more than just an abstract). What I actually loved the most from this article was the introduction and the conclusion (both of which are included in the abstract section). Fey starts out her article by discussing a book that her child picked out at the library at school that had a picture of a witch on the cover and was titled “My Working Mom” and was a story about a Witch Mother who had to constantly fly away to work meetings and events and only ended “happily” when the Witch Mother makes it at the last minute for her daughter’s event. Fey then spends quite a few pages discussing the stuggles of being a working mom and deciding whether to have more kids. While there are many times when children do select books or play in a way that helps them cope with a situation or process something challenging that is going on in their lives, there are also times when as adults we assume that kids have thought and planned out their actions in the same way we do, when in reality, sometimes kids are just kids. Happy Valentine’s Day to all parents and kids today! HealthyChildren.org and ISISParenting.com both had great articles about how to show your kids you love them today. While Valentine’s Day is a great day for people to be reminded about how important love is- your family and your kids need to know that you love them everyday! So take some tips from these articles and show your kids you love them every day of the year including Valentine’s Day! Valentine’s Day got me thinking about LOVE and so I ended up googling “Love and Psychology” and ended up on the About.com Psychology page about Theories of Love. Long story short, I read the first paragraph on this webpage about “liking versus loving” and Psychologist Zick Rubin and his theory that love was made up of three factors: attachment, caring, and intimacy. Well, when a Developmental Psychologist blogging to parents about Child Development Basics reads “Attachment” you stop right there and realize this is a perfect opportunity to blog about Attachment. Sorry Zick, your theories of love will have to wait until next Valentine’s Day. Instead, John Bowlby and Mary Ainsworth and Attachment Theory here I come! Attachment theory is one of those psychology terms and concepts that most people have heard about and/or vaguely remember from a Psychology class they once took. John Bowlby was the main man behind Attachment Theory. 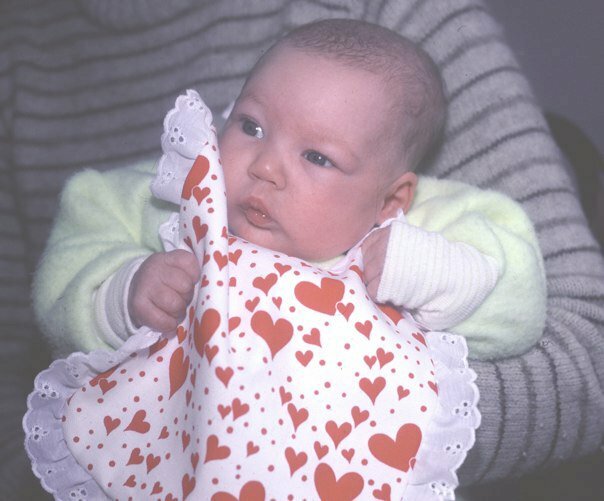 According to Bowlby, attachment is based on infants’ basic needs of safety and security which infants learn is often best provided by a particular individual (usually the mother, although this has been disputed in more recent research). Furthermore, Bowlby argues that by forming an attachment with one person, the infant feels comfortable to explore the world around her with this individual as her “home base.” (See Origins of Attachment Theory by Inge Bretherton). 1. Securely Attached: children who uses the parent as a “home base”. When mother leaves the room the child may or may not get upset and the child goes to the mother as soon as she returns. 2. Avoidant: children who do not seek close proximity to their mother. When the mother returns to the room, the infant avoids her as if indifferent to her behavior. 3. Ambivalent: children who show a mix of positive and negative reactions to their mothers. The child is quite upset and distressed when the parent leaves. When the mother returns the child may seek close contact with the mother and simultaneously hit her. While Bowlby originally only focused on moms, more recent research has indicated that infants do form attachments to their fathers as well as their mothers- even multiple individuals simultaneously (e.g., Schaffer & Emerson, 1964). For more information about attachment with Fathers and Day Care Providers see Education.com. Often, as a Child Care Researcher, I get questions from friends, family members, and sometimes even total strangers about the benefits of childcare for their children and how to pick a childcare arrangement. The truth is, as with most parenting decisions, there isn’t one correct answer. Luckily there is plenty of research on the topic, and we do know a couple of things that can help guide parents as they make this important decision. What are the benefits of childcare for your child? The answer to this question largely depends on the alternatives. We know that child care, especially preschool/ pre-Kindergarten programs boost cognitive test scores, increase school readiness, and can even impact long-term outcomes (visit these sites for findings from a few high profile studies: The Carolina Abecedarian Project, High Scope Perry Preschool Study, Gormley, Phillips, Gayer, 2008. However, most of this research is derived from samples of low-income children, and when studies compare children by family income, they find that more disadvantaged children derive greater benefits from childcare and pre-K. When you are making a decision for your own child, it is important to consider the alternatives. Childcare can be beneficial for children if it places them in a more stimulating, sensitive, and/or secure environment. That said, if your child is very young (under 3) and the alternative is staying home with you—the sensitive and instructive primary caregiver- then there is no rush to put your child into childcare. The most important factor is the quality of the experience for your child (See Burchinal, 1999). For young children, the highest quality experience may be staying at home with a parent. For older children, it may be a preschool program. And for parents who work, cannot stay home, or want their child to enter childcare, the goal should be to find the highest quality arrangement, and the best fit for their child. (1) Research. Currently, twenty-three states have implemented Childcare Rating and Improvement Systems (QRIS). Like the rating systems for hotels or restaurants, QRIS assesses childcare settings based on program standards. A full list of states that have these systems and their websites is available here. For example, if you live in Illinois and are considering childcare for your child you can go here and click on Licensed Child Care Centers & School-Age Programs and it will give you a 10 page pdf document listing all of the centers by county. In addition, several states have public pre-K programs. Find out if your state has one, and how they measure-up by visiting the National Institute for Early Education Research. If your state isn’t on either of these sites, a simple google search, asking other parents, and looking at local parenting websites for advice is always a good place to start! Another great resources is Child Care Aware which provides information about locating high-quality child care, parent information, helpful tools, resources, and newsletters. When you find a center that you are interested in, you should also ask to tour the facilities and meet the prospective caregivers. Again, trust your gut, if something feels off when the facility ought to be putting its best foot forward (to get your business), you could be picking up on something important that you don’t want to expose your child to. (2) Child’s Age. Your child’s age may be particularly important when making the decision of where to place your child. For young children, informal arrangements, such as those with relative caregivers, nanny care, or home-based childcare may be best. Lower adult to child ratios are associated with higher quality care for infants and toddlers (NICHD ECCRN, 2007). As your child gets older, it becomes more important to help them get used to school-like settings. Childcare centers, and especially high quality preschool programs may be a good way to do this. Think about it this way—you wouldn’t throw your child in the deep end of a pool without first teaching them to swim. Kindergarten is a scary place with lots of rules and expectations. High quality center care and/or preschool programs, like swimming lessons, will help teach your child the skills they need to succeed in school (See Pre-K Now). (3) Center Care vs Home-Based Care. Both center-based and home-based child care offer benefits and disadvantages. Home-based care may be more flexible with your work hours and are more likely to mix age groups (more sibling interaction). However, center-based childcare is usually higher quality than family day care. Childcare centers also tend to be more educationally focused… they are geared more towards learning and preparing children for school, so they are particularly beneficial for older children when compared to home-based day care options (Loeb, Fuller, Lynn, & Carrol, 2004). That said, parents can usually trust their gut on these things, not all childcare centers are better than all family care centers, and most importantly, not all child care centers are high quality (Love et al., 2003, Fuller. Kagen, Loeb, & Chang, 2004). (4) Stability. Find a childcare arrangement that works for you and stick with it. From the childcare research we know that stability matters! Stability in childcare can be defined in terms of stability of the childcare center (the physical building) and stability of the caregiver. Ideally, the arrangement you choose for your child will be stable for both. Each arrangement has different expectations (rules and routines) and entering a new arrangement involves navigating new relationships (with the caregiver and with peers). Switching up the game too often will be stressful for your child. When you are choosing a childcare program, it is important to find a good fit, so that you are less likely to move your child mid-year. Consider the center’s policies. If your child will age out of the center after a few months, or even a year, you may want to look for a different arrangement. Read all about childcare stability and its potential impacts on your child’s development by going here. So, what is the take home message? Choosing childcare is all about considering the alternatives, finding a high-quality program—and one that is a good fit for you—and sticking with it. There are tools out there to help guide your decision, but in the end it’s all about knowing yourself, knowing your child, and going with your gut. Autism. We are living in a world where Autism seems to be everywhere. Jenny McCarthy has talked about it on Oprah, the New York Times has reported about it repeatedly (e.g., NYT1, NYT2, NYT3, NYT4, NYT5, NYT6, NYT7, NYT8, NYT9, NYT10) and offers discussion groups and blogs, Medical Doctors and Children’s Hospitals are blogging about it, Movies (e.g., Temple Grandin, The Horse Boy) and Books (e.g., The Horse Boy, Louder than Words, Ten Things Every Child With Autism Wishes You Knew, Thinking in Pictures, Making Peace with Autism) are written about it, celebrity magazines write about it, activist groups and foundations have been created and dedicated to it (e.g., AutismSpeaks, GenerationRescue, AutismSociety, Doug Flutie Jr Foundation), Psychologists, Neuroscientists, Animal Scientists, and other professionals are studying it. It really feels like Autism is everywhere. And it’s scary. I hate writing about something scary and I hate writing about something that I don’t have the answers to. As a scientist we are trained to look for answers. Can a child learn from a baby video? yes or no. Do children learn language better when parents speak more to them? yes or no. Is it safer for kids to sleep on their backs? yes or no. I like answers. Concrete “yes” or “no” answers. Unfortunately, Autism is all about questions and we are only starting to pick away at answers. So, this isn’t a post about what causes Autism or how to cure/heal children with Autism. Instead, as a website dedicated to providing child development resources to parents-this is just a post about Autism- something like a course you would get in a Child Development class in college about Autism and full of resources and links so you can continue to learn whatever else you may want to know. What is Autism? Even this is hard to answer. Basically, it is a term used to describe a group of brain development disorders. The difficulty with Autism is that the cases are very unique and while they have overlapping symptoms not all kids with Autism show all the same symptoms. (AutismSpeaks has a brief definition; Autism Society defines Autism in a little more detail; National Institutes of Health definition). Who has Autism? 1 in 110 children (1 in 70 boys) (CDC). What Causes Autism? We don’t know, but researchers and scientists are working to understand it. There are lots of theories that are currently being tested and we can only hope that we will learn more about what causes Autism and how to prevent it as time goes on. It seems likely that Autism is caused by some sort of combination of genetic and environmental factors (meaning that kids may be born with a higher chance of developing Autism, but that likely there is some sort of environmental trigger that is necessary for the child to develop Autism). Recently the theory that vaccines cause Autism was debunked and it was noted that the author had manipulated the data to arrive at the findings (Boston Globe, New York Times, Center for Disease Control). Also see National Institutes of Health for information about Causes. Diagnosis: Autism is diagnosed by a team of Health Care providers who use a questionnaire to gather information about the child. Often times a psychologist, neurologist, speech therapist, and psychologist are involved in determining the diagnosis. Autism cannot be tested with a blood test or other medical procedure. (See NIH website). Animal Therapies have been tried including therapies with Dogs and Horses, Behavioral Therapies and Education Therapies, Medications. Non-medical interventions, dietary treatments, etc. The CDC has entire section about ongoing Autism Research. Autism Research Consortium was created in 1996 as a multidisciplinary group of investigators dedicated to researching issues related to Autism. National Institutes of Health is leading the The Studies for the Advancement of Autism Research and Treatment which is a 5 year research effort focused on Autism. Autism Research Centre is based out of the University of Cambridge and currently they are conducting 7 projects related to Autism. I have to say that while this is all very overwhelming. There are some terrific resources and still a whole lot of questions out there. 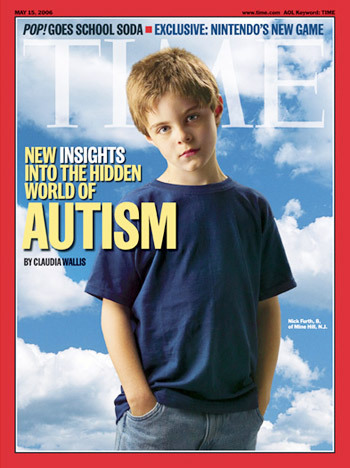 Hopefully we will continue to make positive progress and have a better understanding about the causes of Autism and ways to heal/cure it in the near future. I think an important take home point with all research and especially with research that is a “hot topic” issue in popular media- like Autism- is to make sure to be very careful about what you read and what you believe. We do have a long way to go before we will know the “Yes” or “No” answers to Autism and until we get there, there is a risk that people will incorrectly or mistakenly report information. A perfect example is the impact that Wakefield’s study has had on the belief that Autism is caused by vaccines and the recent realization that this study was not just wrong but the data was manipulated! (See the Institute of Medicine Review).